There are many arguments with ninja and vitamix, which one is more powerful to make perfect smoothies? Which one is perfect for ice crushing, to turn ice into snow? I want to be the one to tell you the real answer. 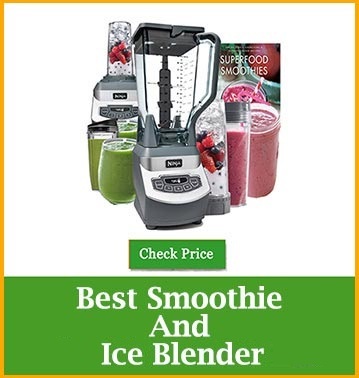 I am going to give you the each and every clue to choose among them the best smoothies blender. We are going to do that in head to head test using a unique tool to ensure objectivity. Before that, we are going to examine ins and outs both of its entry-level blenders Ninja Professional Blender NJ600 and Vitamix 5200.
capacity 72 oz or 9 cups 64 oz. Blades Ninja 6-blade technology Stainless steel blades with 4 laser cut. First the ninja, Its 16 inch tall and weighs about 8 pounds and has a footprint that is 6 inches wide and 8 inches deep. It has a 1000 watt motor, 3 speeds button and a pulse function it has a two-point power core that about three feet long when you extend it. Then the container, the container holds 72 ounces and easy to readable black measures on the outside. It’s made of BPA free plastic and square shape rounded finished in the corner. The bottom of the container has a plastic six-winged gear and fits on the similar looking plastic gear connected to the base. The blade is actually removable from the container. The blade is made of a harder molded plastic with 6 extremely sharp blades fitted in. Vitamix is 20 inches tall and just 11 pound. Its 7 inches wide and 9 inches deep. It has a 1500 watt motor with 10 variable speeds. In back, there is 6 foot three point heavy duty power core. The container can hold 64 ounces with readable black measures outside. It’s made of BPA free Eastman cold polyester material. In the bottom it has a harder stainless steel 12 driver not, it goes into drive socket of the motor in the base, together with the drive the blade. From the inside of the container, the blade is not removable, it’s fixed inside. These blades are made of 100% stainless steel. First the Ninja, the process will start from attaching the blade inside of the container, user need to be careful because this six blade is extremely sharp so don’t cut yourself. Then attach the container with the base and plug in and now you ready to go. When its running Ninja is quite loud. Vitamix have the fixed blade with the container so there is no need to handle it and then place the container on the rubber landing pad attach with the base. Put some ingredients in the container and plug in and ready to go. Vitamix creates a vortex of flow that means it creates pressure to ingredients to outside and down into the blade. When it runs it creates approximately 97 decibels sound. With the ninja cleaning is pretty much easy and its dishwasher safe. But the blade need to be clean by hand manually. When you are cleaning the blade you have to be extremely careful. It’s probably the thing you want to make with your new blender. Take some fruits and vegetables, nuts and seeds whatever you like. Green smoothies can make many different ways. We put pineapple, queue, banana, spinach and ice in both blender and blend for 30 second together. The smoothie made with the Vitamix is much more vibrant and consisted. Ninja worked and blended the ingredients but using the exact same ingredients vitamix make something that looked and tasted like candy instead of salad. This is probably the second type of smoothie you want to make with your new blender. This type of smoothies is unique because the ingredients have lots of tiny little things and this is important after the things blended the size of them makes different on color, flavor and amount of extracted nutrients. We used water, yogurts and vegans, blue berry all was frozen and blended for one minute together. After blend the color was pretty similar. We do looked pretty closely and see a difference of quality of blends. When it was came on taste the different was significant. The smoothie made by Vitamix was tasted like jumbo juice smoothie. The last thing we tested to check blend quality is frozen margarita. Margaritas in rocks and fine but something about serving restaurant quality frozen margarita is just better. Making frozen margarita is easy, its combination of triple sac, lime juice, ice and fresh fruits. Adding all these things we blended for a minute. In the end Vitamix made something that really taste like restaurant and Ninja made something that taste like snow con. We don’t want something that makes snow con. 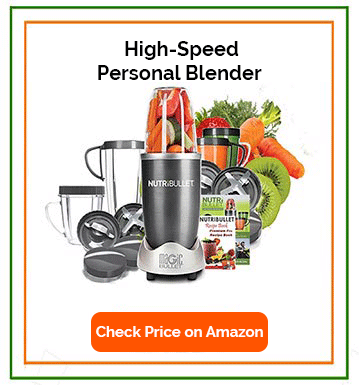 what can this two blender ninja or vitamix do beyond smoothies and blender drinks. One of the coolest thing that Vitamix can do make nut butter. Almond Butter: So peanut butter and almond butter that’s all we made for this test. Nut butter are advance thing to make in a blender. Nut butters are really a game changer. We made this thing using raw almonds and roasted for fifteen minutes and added a little bit of sun flower oil. For creamy nut butter we run the machine for 60 second. After complete that we got our result that, if the goal is to create something that you can spread or deep into or use as base of a sauce. It’s pretty clear that ninja is not up to the test. From very closer look Vitamix made something creamy almond butter and Ninja made something that was not even chunky. Hot Soup: In Ninjas FAQ it clearly says that it can’t make hot soup but Vitamix can. But for testing purpose we gave a chance to Ninja to prove that wrong. We made tertian soup that is classic vitamix recipe. We took some carrots, some onion, raw tomato’s, half garlic and taco seasoning and three glass of water and also used some vege slices, bell paper, little mushroom, squash and little bit of halipinio. Vitamix take six minute to turn cold water into hot soup by running the blades 3700 rpm so the friction heats it up. 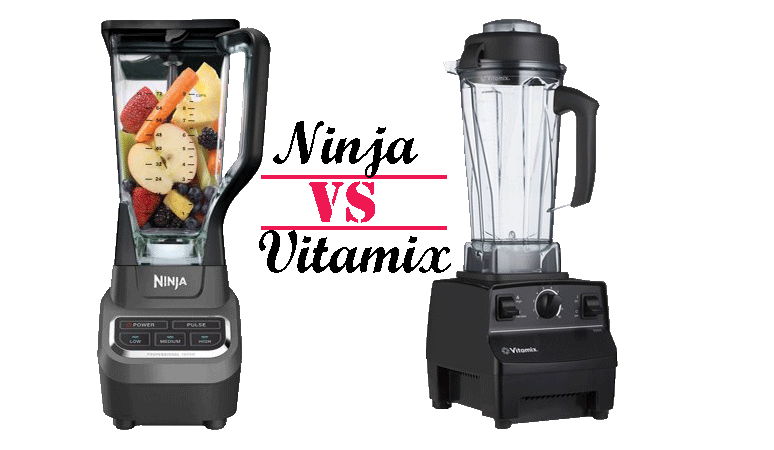 We tested Ninja at its maximum speed three and Vitamix in its variable speed ten, both was up for six minute. By using a kitchen thermometer we measured the heat that made by both blenders. Ninja made 76.4 degree Fahrenheit and Vitamix made soup in 152.5 degree Fahrenheit. Putting above experiment things together ninja and vitamix (Ninja professional and Vitamix 5200), we talked about design, we looked blend quality and explored versatility. One hand the Ninja has a smaller footprint, bigger container and it can do most of the basic things nearly as well. That’s why so many people bought them. On the other hand a lot of people or buyers eventually feels like they made a wrong decision. But people are more satisfied with the Vitamix. Though it’s an opinion, the final decision is yours.